I’m not a big techno man, as you know… but it is nice to get some decent techno on TIWWD every so often and this is definitely decent techno. Mind Funk’d comes from Freshin Records label boss Da Fresh, and there’s just two of his own mixes to choose from. The Original Mix uses driving but quite house-y 4/4s as the basis for a nagging, off-beat bleeping synth hook, topped off with various other FX and sci-fi stabs for good measure, while on the Dub, things get even more sparse n’ stripped, taking us to the fringes of ‘minimal’ territory but still with that head-frying synth in full effect. A techno club groover that’s got enough energy and enough unique charm to potentially win it friends outside of techno circles as well. The Kent boys serve up a slice of struttin’ dancefloor deep house for Unrivaled Music. There’s just the two mixes to choose from. The Original marries tuffs snares reminiscent of Green Velvet’s Flash to a jaunty, jazzy piano line and chopped-up, shouty/attitude-y fem vox, making for an infectious groover that’d be perfect for warm-up play cos it’s almost physically impossible not to start shaking ya rump to it! On the B, Slavik K gives the track something of a disco injection, toning down the militant snares a notch in the process. Good solid stuff that’ll move dancefloors without a doubt. About: This comes on Unrivaled Music, part as you know of the Endemic Digital family. 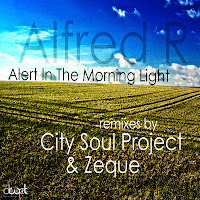 Some typically high-quality deep house grooves courtesy of Romanian producer Alfred R on this latest from Deepwit. There are two tracks in a total of four mixes. Got To Be Alert comes first, a dubby, percussive ride in its Original form that’s then given a refix by Jeque, of Mexico’s InfraDig Records, that ditches the reggae-fied elements in favour of a more sumptuous, garage-y groove. 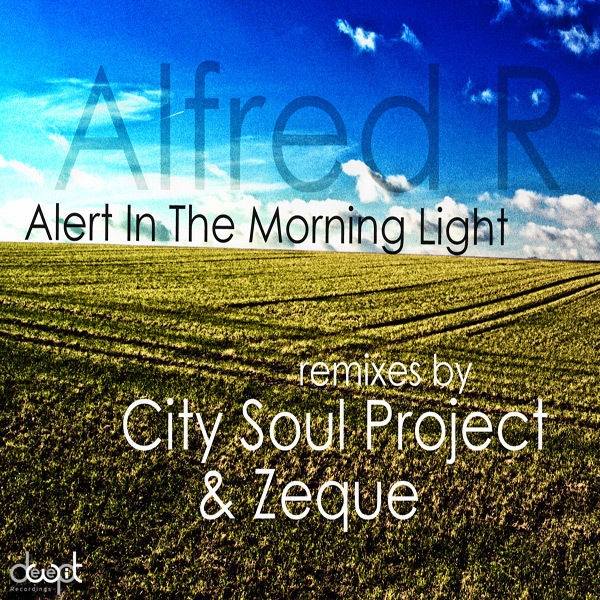 On the B, Morning Lights is a dreamy, chuggy afterhours/post-club affair to start with, then gets a slightly more floor-friendly makeover from City Soul Project, complete with a killer rave-y bass throb. Classy stuff as ever from this Danish stable. About: Find DeepWit at their website, on Facebook and on Soundcloud. 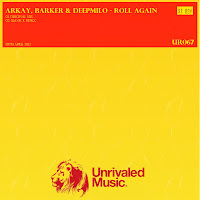 Only the second release here from a new label headed up by Alex ‘Hypercolour’ Jones, Ste Roberts and Dave ‘MN2S’ Elkabas. 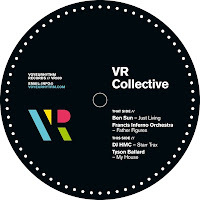 And if you’re looking for stylistic clues in that last sentence, then Hypercolour’s forward-thinking, leftfield house and techno rather than MN2S’s uplifting vocal house are what you need to be thinking about. Opener Doing Nothing is the most ‘traditional’ cut on offer, a fairly chunky deep house floor-groover with bubblin’ sub-aquatic synths, a meaty bass riff and a simple three-note piano hook. X then takes us further into experimental pastures with its lo-fi crackles, skittish rhythms and sci-fi synth noises. The latter’s accompanied by a 14-minute Petre Inspirescu mix that may appeal to fans of Plastikman, Aphex Twin et al, though I have to say it’s a glitch too far for me personally… but digital bonus cut Atonement lets us end on a high, as Bliss relaxes the tempo and gets his dubwise skank on. 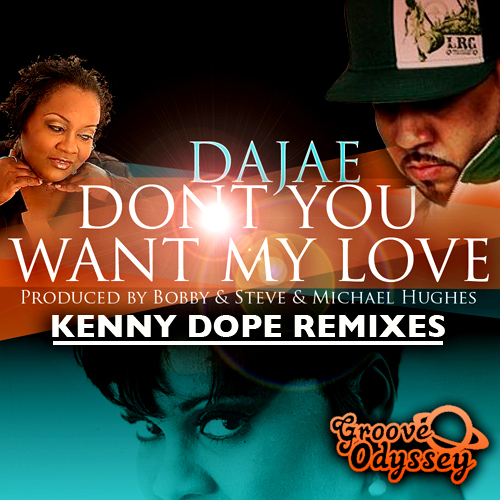 A noteworthy pairing of old-school heroes now, as Kenny Dope serves up three remixes of Dajae’s Don’t You Want My Love from 2011. The O’Gutta Remix is a fairly trad vocal affair but with some added techy/acid squelch, and comes accompanied by a mix called O’Gutta TV which is basically an instrumental of the same. 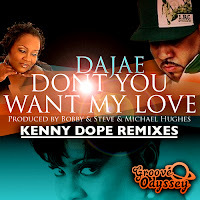 S’cool, but top honours for me go to the Kenny Dope Bass Dubb (yeah, two b’s), a stripped-down pass with Dajea’s unmistakeable tonsils still in full effect but now screamin’ out atop a dark room groove made up of hefty, bubblin’ bass and those trademark razor-sharp Gonzalez beats. Respect is due, as they say! About: This comes atcha on Groove Odyssey, which is of course Bobby & Steve’s label… actually strictly speaking it’s run by Bobby & Steve with Michael Hughes but anyway, you can find ’em here. Some typically high-quality deep house grooves from Beats Me Music here, coming courtesy of label boss Rob Clarke. There are six tracks/mixes to choose from… not gonna go into each one in infinite detail right now, but generally speaking, floor-friendly deep house with a slightly west coast-ish slant is the order of the day, with an added Italo/nu-disco twist to Lucid Reality. Apart from on Open Your Hat [sic] there’s perhaps less of the soulful/garage-y slant you often get with Beats Me stuff, but fans of the label – and I count myself in that number – should nonetheless be very happy with this one. If pushed, I’d say Sidewinder is the pick but it’s a close call. 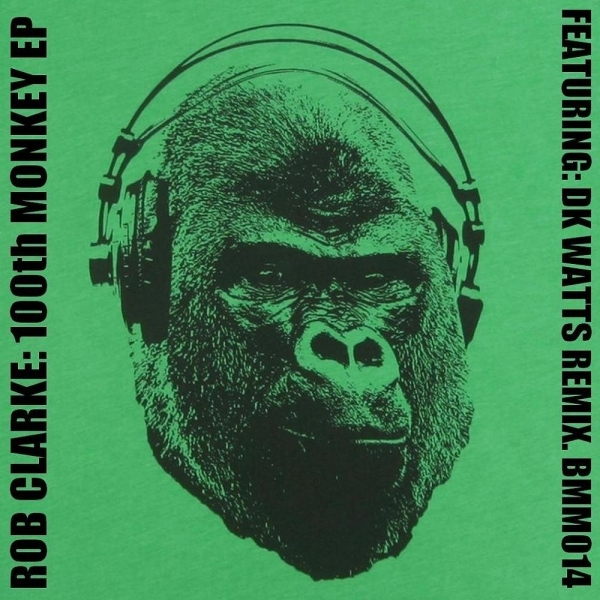 Oh yeah, and it also comes with a little extra help from DK ‘Short Bus Kids’ Watts, who provides a remix of Blow Your Own Trumpet – surely a sign that the Eastbourne-based label’s rep in the international deep house community is growing. And rightly so. About: You can find Beats Me Music on Facebook and at their own website. 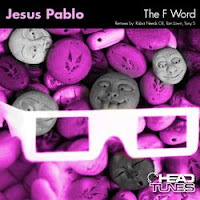 Four mixes here of the latest from Jesus Pablo, coming on Boston’s Headtunes. In its Original form, The F Word harks back to the days of deep Jersey garage with its simple piano loop, crisp beats, vocal wails and understated disco b-line. Tony S serves up a remix that’s a touch more energetic and floor-oriented, while Tom Lown goes the other way and takes us further into late-night, sofa-surfing territory with glockenspiel (??) hits and pads that are a thousand miles wide. And then bringing the EP to a close, a refix from Poland’s Robot Needs Oil is more stripped-down and techy with tons of space in the production, looping up the “running to you” vocal hook and adding some wicked organ drops. Every bit as we’ve become accustomed to from the prolific Liverpudlian producer, with mixes to suit a range of moods/times/settings. About: You can find Headtunes on Soundcloud, on Facebook and at their own website. After speaking to Tom today I can now tell you it’s not a glockenspiel, it’s a marimba. I am useless. However Wikipedia lists them both as members of the xylophone family so I wasn’t THAT far off! 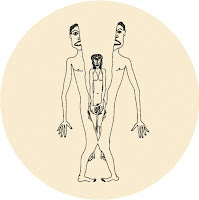 More traditional-style deep house vibes here courtesy of New Zealand’s UM Records. 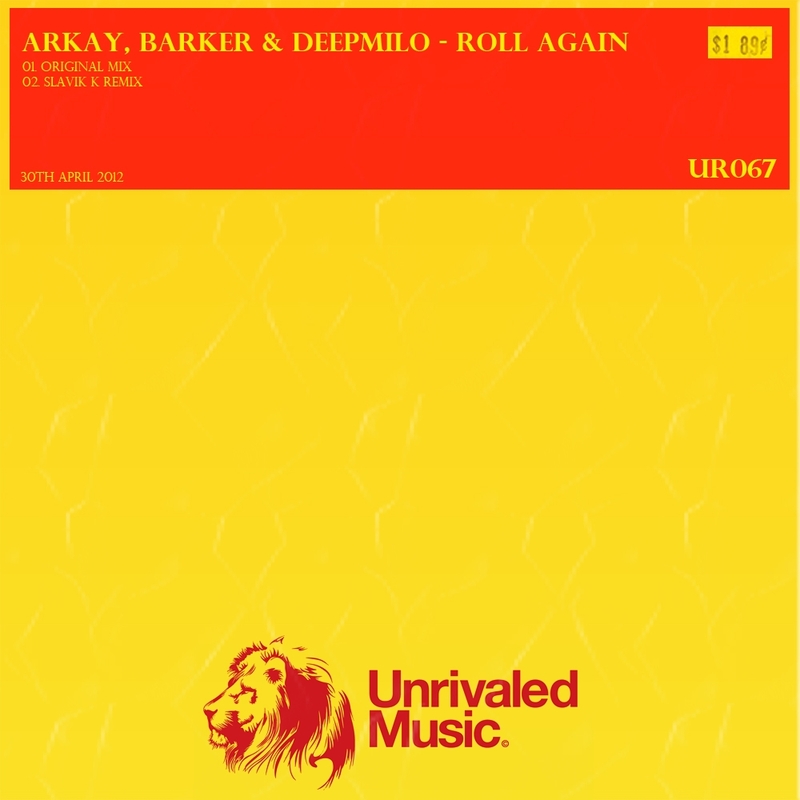 Untitled Track One kicks off the EP, a luxuriant, unhurried groove that’s all pads, Rhodes chords, crisp hi-hats and chopped-up female vocal snips, an afterhours/post-club gem, while Untitled Track Two is more upbeat and floor-oriented, with a meandering jazzy sax taking centre stage. 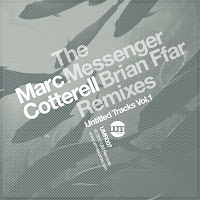 Brian Ffar then provides a remix of Untitled Track One that slowly builds from a moody, cinematic intro into a delicate, eyes-closed techy shuffle before finally The Messenger’s refix of Untitled Track Two tones down the sax in favour of jerky, garage-y beats and tiny snippets of male vocal. Again: quality bizniss all round. About: UM Records is the label run by the same peeps responsible for Facebook’s excellent Deep House Page. Find ’em on Soundcloud and, of course, on Facebook in their own right. Some top-quality deep house here from Deso Records, a label from whom we’ve come to expect nothing less. 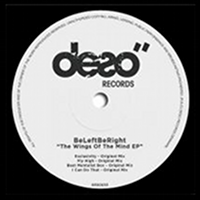 BeLeftBeRight are Silvio Zanfardino and Ivan Garzone, two childhood buddies from Naples, Italy, and here they serve up a four-track EP. Beat Mentalist Box is an atmospheric, almost cinematic affair with fluttering synths, pads that go on forever and chopped-up breathy vocal snips. Exclusivity is a little slower and more laidback, riding a simple breakbeat with old-skool synth stabs and more of those long, lingering pads. I Can Do It ups the tempo a little but is still pretty mellow affair with its warm chords and gently tinkling ivories reminiscent of early Italo house, and then finally Fly High is a bigger, chunkier Rhodes-driven cut. Classy stuff all round… but then as I said, we’ve come to expect nothing else from the Danish label. 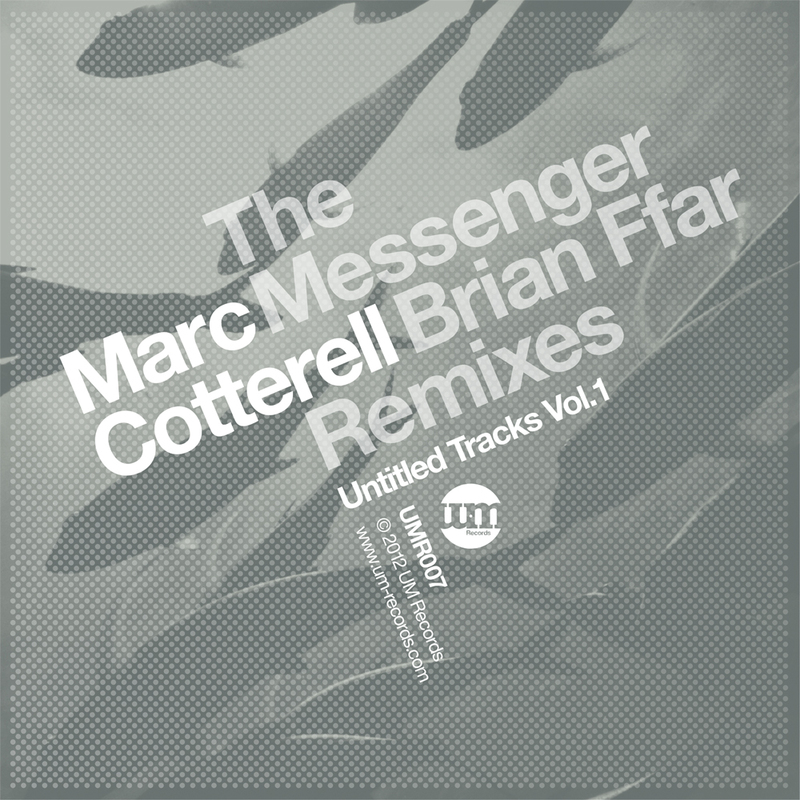 Out: This week on Traxsource, everywhere else from 7 May. About: You can find Deso Records on Soundcloud, Facebook, MySpace and at their own website. I think this is the first time I’ve come across UK label Voyeurhythm, though this V/A label sampler is apparently their ninth release since launching in 2009. On this evidence though, I’d definitely like to hear more. 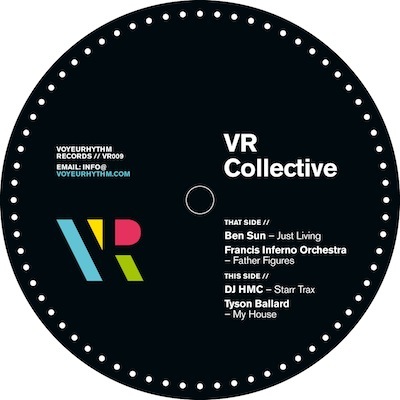 Label co-owner Ben Sun kicks off the EP with Just Living, a refreshingly non-cheesy slice of soaring, discofied good-time house music. DJ HMC’s Starr Trax follows, which is in a similarly disco-y vein but this time in more a ‘down n’ sleazy’ kinda way, before Melbourne’s Francis Inferno Orchestra gives us (yes, gives… it’s just the one guy, despite the name) Father Figures, a deep/tech groover with a decidedly late-night, blissed-out feel. And then finally Tyson Ballard – another member of the triumvirate that run the label, the third parter being Mostyn – brings the EP to a superb close with the epic, atmospheric and somewhat ‘New Jersey deep garage’-ish My House. A varied EP with the quality bar set high, so looking forward to hearing more from these boys in future! About: You can find out more at the Voyeurhythm website, Facebook and Soundcloud.